This year’s Oscar nominees for Best Documentary are a fine crop of films boasting themes as varied as political activism, criminal dread, and struggling artistry, all with equal weight. Below are a handful of Oscar-winning docs that have yet to leave my mind, and, like whatever film wins this year, will surely be remembered for years to come. One of Kopple’s first, and still best, documentary efforts was Harlan County, USA, a fearless chronicle of a tense union strike in southeast Kentucky. 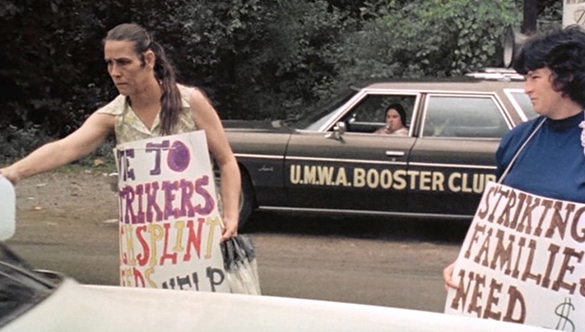 Throughout the film, people on both sides of the line (Brookside coal miners vs. Duke Power Company) are always a false step away from provoking violence. Voices are raised, guns are drawn and fear is continually heightened. Perhaps Moore’s best, most blatantly accusatory film is Bowling for Columbine, which examines and casts faults of American gun control. What I value most about the film are the insightful interviews Moore gets from unlikely subjects. Before watching this doc, I had no idea South Park co-creator Matt Stone and shock rocker Marilyn Manson could speak so eloquently about the troubles stacked against American youths. 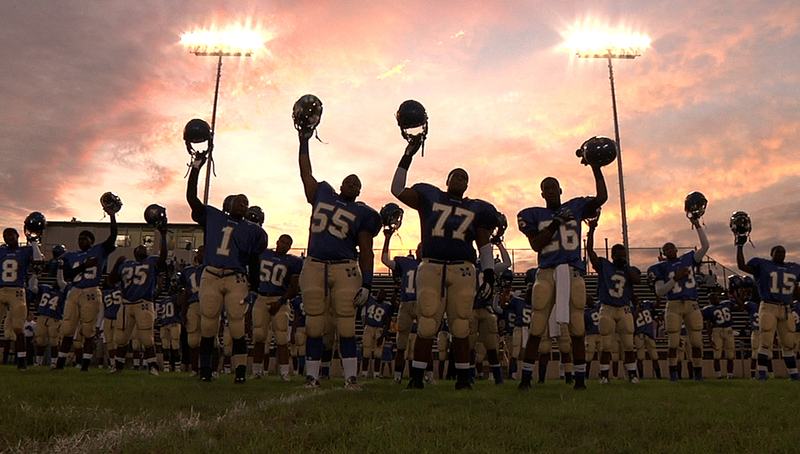 Undefeated follows a Memphis high school football team through one of its most turbulent seasons, capturing every moment of horror and glory along the way. The team’s coach, Bill Courtney, is the star of the show, effectively taking on roles of father, coach, teacher and inspirer for his players. The result is one of the most moving documentaries of the last 10 years. Martin Scorsese and Thelma Schoonmaker helped edit this nearly four-hour film journal of the most (in)famous rock concert in history. Much of the fun of the film is watching the attendees simply be. 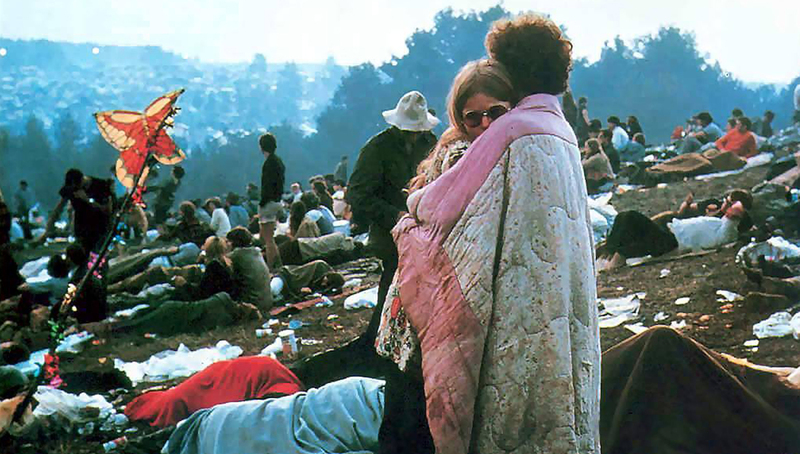 Whether they are tripping on psychotropic substances, loving in the woods, bathing in a pond, or listening to the tunes – Woodstock shows Woodstock at its most profoundly real. And, of course, the musical performances are sensational. 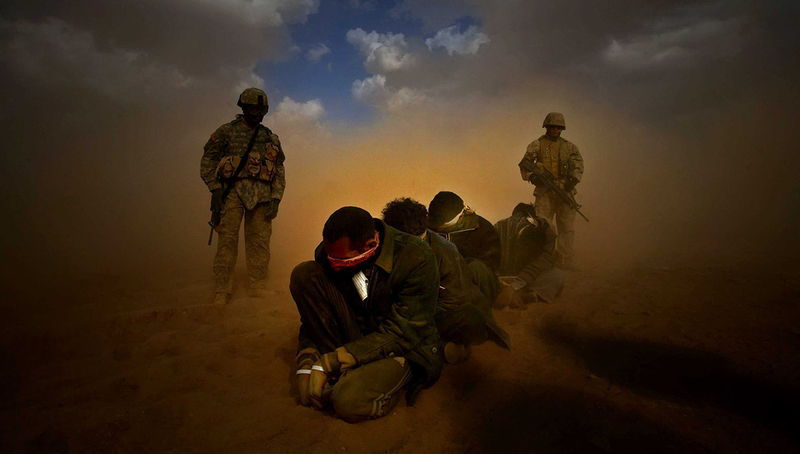 I put off Alex Gibney’s unflinching account of America’s policy on torture because I had a feeling of where it would go. And it does go there, to those horrifying American-run prisons in the Middle East, to those dark torture chambers of pain, to those dead, bloated bodies of innocent men. Gibney is one of our finest living documentarians, and Taxi to the Dark Side doesn’t even begin to entertain the notion of pulling punches. Man on Wire is the kind of movie that tediously builds to a climax by showing several different perspectives, using a multitude of narrative devices (interviews, reenactments, archive footage). It keeps going and going, forcing viewers to question if we’re even going to witness Philippe Petit walk between the World Trade Center towers. Thankfully, the payoff is more than worth the wait, making for one of the most arrestingly beautiful film sequences I’ve ever seen. 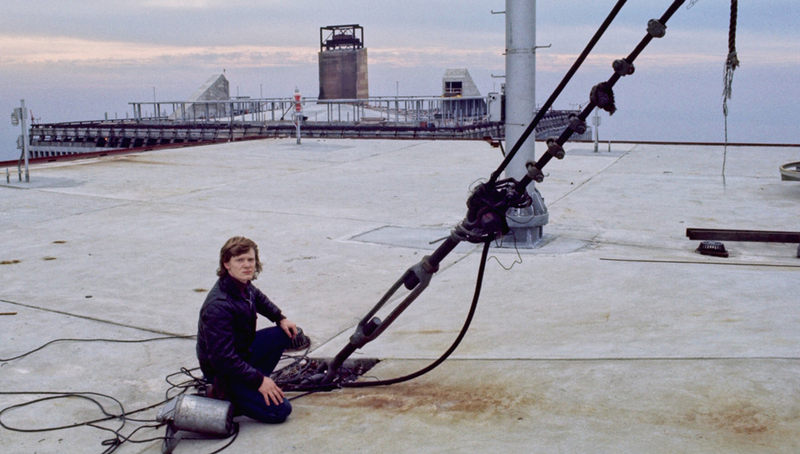 Just writing about Petit’s WTC wire walk gives me chills. 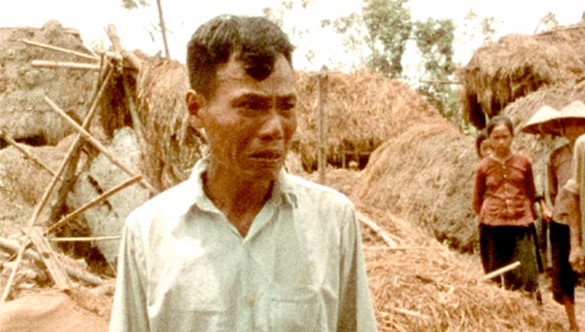 Upon its release, this Vietnam War documentary was hailed as either an unflinching masterpiece, or shameless liberal propaganda. I agree with the former, but can understand where detractors proclaiming the latter are coming from. Hearts and Minds doesn’t set out to paint a balanced picture. It aims to cast blame at those responsible, and does a damn fine job doing so. The film is haunting, poignant, but not exactly bipartisan. With that noted, I can all but guarantee that Hearts and Minds will show you things about the Vietnam War that you never knew (or wanted to know) happened. 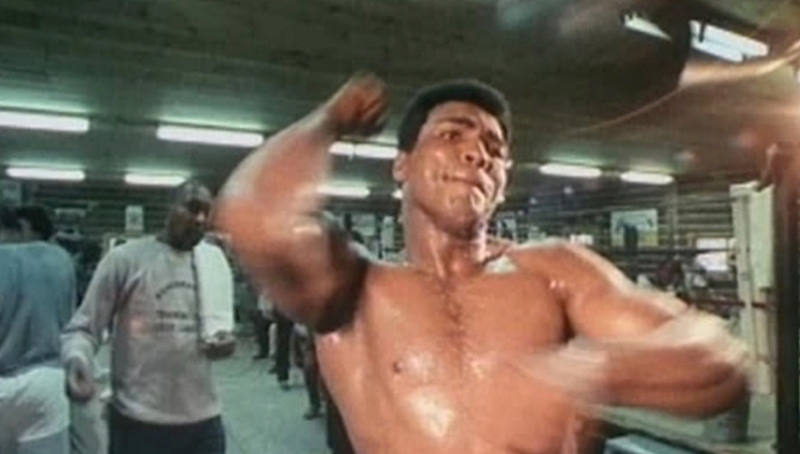 Filmed almost entirely in 1974, When We Were Kings chronicles the events surrounding Muhammad Ali and George Foreman’s famed Rumble in the Jungle boxing match. After being trapped in lawsuits for two decades, the film was finally shown to the public, and received universally positive acclaim. Certainly one of the finest sports documentaries ever made. Louie Psihoyos and his entire crew risked their personal freedom to document the annual slaughter of dolphins in Taiji, Japan. Led by fearless animal rights activist, Ric O’Barry, The Cove is activist filmmaking at its most profound. The filmmakers prove that they’re willing to break all the rules (including those mandated by law), to get their story on film. The outcome is one of the most personal films I’ve ever seen – the kind of movie that can provoke change and force its viewers to finally start asking the right questions. Six years after openly gay politician, Harvey Milk, was assassinated by his former colleague, Dan White, Rob Epstein released a devastating film of quiet power. 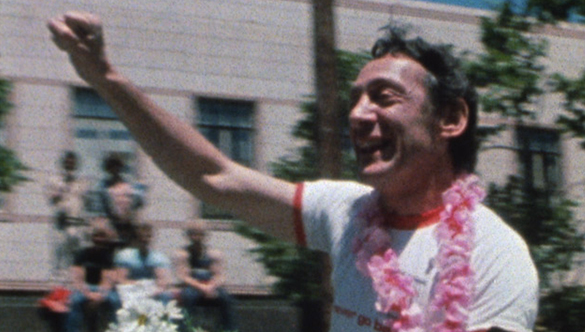 Both men at the center of The Times of Harvey Milk lived short lives (White killed himself a year and half after being released from prison), but the film lives on. It’s an empowering testament of what it means to follow your heart, and do whatever it takes to affect change. Harvey Milk was a fallen soldier in the battle to equalize gay rights, but, as Epstein points out in his film, Milk was tragically one of many. This isn’t a film of hate against those who choose not to understand, but rather a testament of love for those who fight. It’s a work of art I will cherish forever. Have you seen The Act of Killing yet? I'm really hoping that it wins best documentary. Oh yeah, a great and important documentary. I think it has a great shot at winning. It's between that and the more sentimental (but really good) 20 Feet From Stardom. Of these I've only seen Woodstock, Bowling for Columbine, and Man on Wire. I've not seen many other winners. The docs that haven't won, nor even been nominated, seem to get more acclaim (i.e. Hoop Dreams, The Thin Blue Line). yeah, one could probably a make a list of films NOT nominated for Oscars, that were better than Oscar winning films. This is a great list as I've seen half of these films. BTW, where's The Fog of War? Thanks man. You know, I've seen all of Errol Morris' films, and I honestly think The Fog of War is one of his lesser efforts. For whatever reason, it doesn't do much for me. I like being able to say that Errol Morris has an Oscar, but that one is certainly not one of my favorites. I agree with many of these, but completely disagree with The Cove's high placement. It's an entertaining doc, but it doesn't go to the transcendent place the best can take you. Plus, it has the same problem that sinks a lot of recent docs for me: Like Blackfish, it has a very specific point and it hammers it into your skull incessantly without telling you anything new that you didn't know or hadn't assumed from the start. That, and the random celebrity cameos were hella distracting and unnecessary. I was going to make the argument for The Thin Blue Line and When the Levees Broke, but lo and behold they weren't nominated, the latter because it was TV of course. Hearts and Minds and The Fog of War would both make my list, though. FYI, thanks to Netflix I've seen 4 out of 5 of this year's nominees. Still waiting for 20 Feet from Stardom. Thank you, Netflix! I wholeheartedly and passionately disagree about The Cove. That's one of the best, most important films I've seen in my lifetime. (But for the record, I didn't like Blackfish, for the reasons you mentioned.) But we're certainly all entitled to our opinion. The Thin Blue Line and When the Levees Broke are both masterpieces. Love them. Hearts and Minds is on my list. The Fog of War isn't near being one of my favorite Morris docs. I love his films, but that one has never done it for me. And... I've only seen The Cove. I do have Man on Wire on my blind spot list this year though, and I've seen some of Bowling for Columbine. I need to check the rest of these out. Oh man, I think you'd like most all of them. So truly great films up there!